Accord Synergy offers support services to the high end telecom segments such as network planning & optimization, network rollout, managed services and manpower solutions through sub-contracting basis. It provides all services related to planning, installation & commissioning, operation, expansion, modification and maintenance of telecom networks and provide manpower solutions to its customers. The company offers a wide variety of services and solutions i.e. technical site surveys, radio surveys, network planning, radio and core equipment (BBS, RBS 2G, 3G and LTE) installation, installation supervision and commission/integration services to a wide variety of equipments and vendors. Accord Synergy undertakes this activity through engineers and technical staff deputed on client sites/offices. It has successfully implemented various projects include Nokia Solutions and Network India Pvt. Ltd, Samsung India Electronics Pvt. Ltd, Reliance Corporate IT Park Limited and Huawei Telecommunication (India) Company Pvt. Ltd etc. 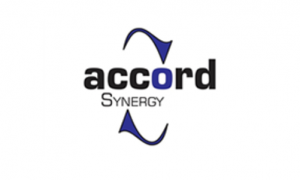 Accord Synergy IPO allotment status is now available on Link Intime's website. Click on this link to get allotment status.